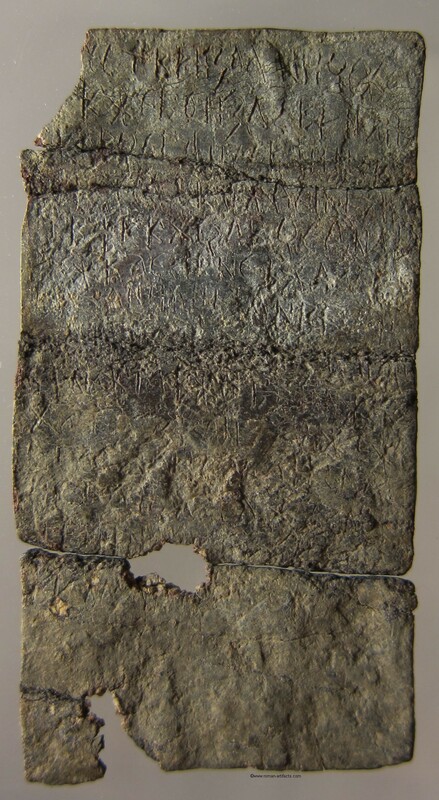 This item is a thin piece of lead which was folded over numerous times in ancient times. 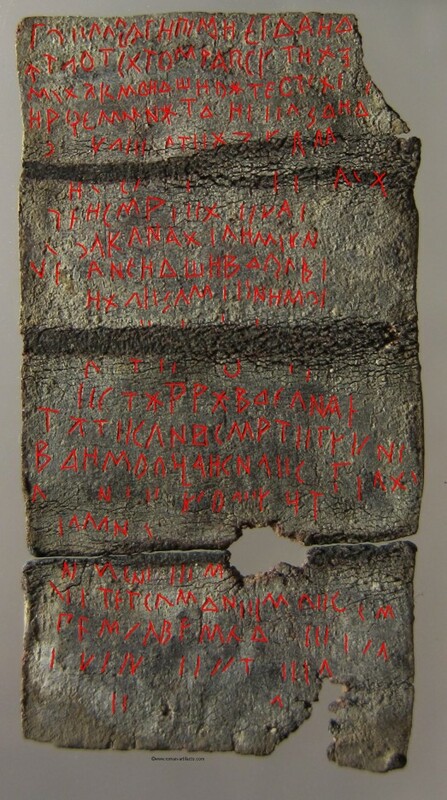 These pieces of lead are commonly known as "Curse Tablets". They would be deposited by people around temples of stadiums usually with an inscription inside. 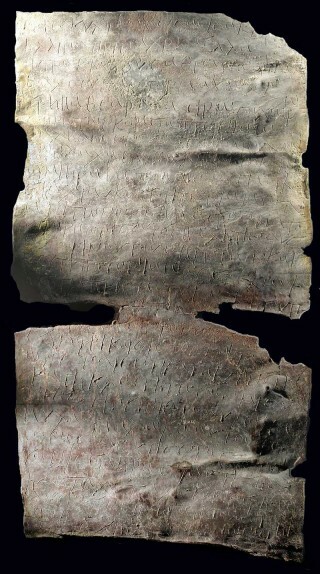 These inscriptions were easily scribed on the soft metal with a bronze stylus (ancient pen). They were basically offerings to the gods or prayers for good luck or curses against an adversary. This piece contains numerous micro small lines of text on both sides. 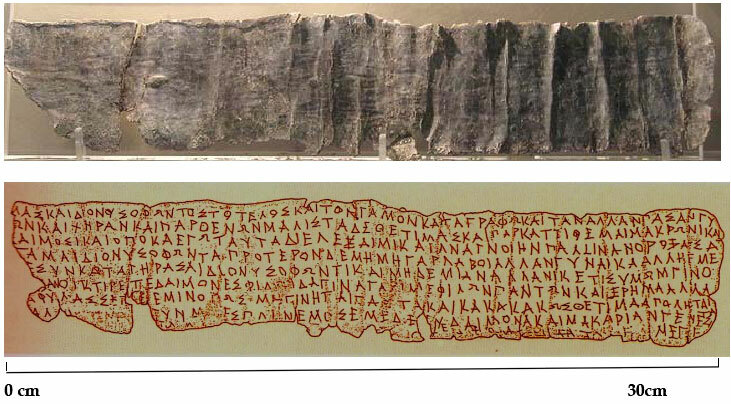 Some of the text is clearly Greek to some extent, however there are also many characters which are not Greek or Roman. These characters are likely magical text and include a star, windmill, rectangle with integral diagonal line and the the arrow. It is not known what this means unfortunately. Further research may be required and includes the possibly of Reflectance Transformation Imaging which would reveal in further detail of some of the character which are partially hidden in the patina of the lead. Any information that could be provided on this piece would be helpful.